Easter Eggs-travaganza, day 11: Happy Easter! I apologize for posting too early but we are off for a 2-week vacation in the morning. So, happy Easter! The last project that I wanted to share today was an Egg-monster. We made this one as a snack and it was as tasty as it was scary 🙂 Just boil an egg, make a hole in the shell, take a little piece out and put a googly eye inside. Then kids can decorate their monster with markers… and peel it and eat it. Yummy! And if you still need more ideas and inspiration, check out the Pinterest board or our Instagram. 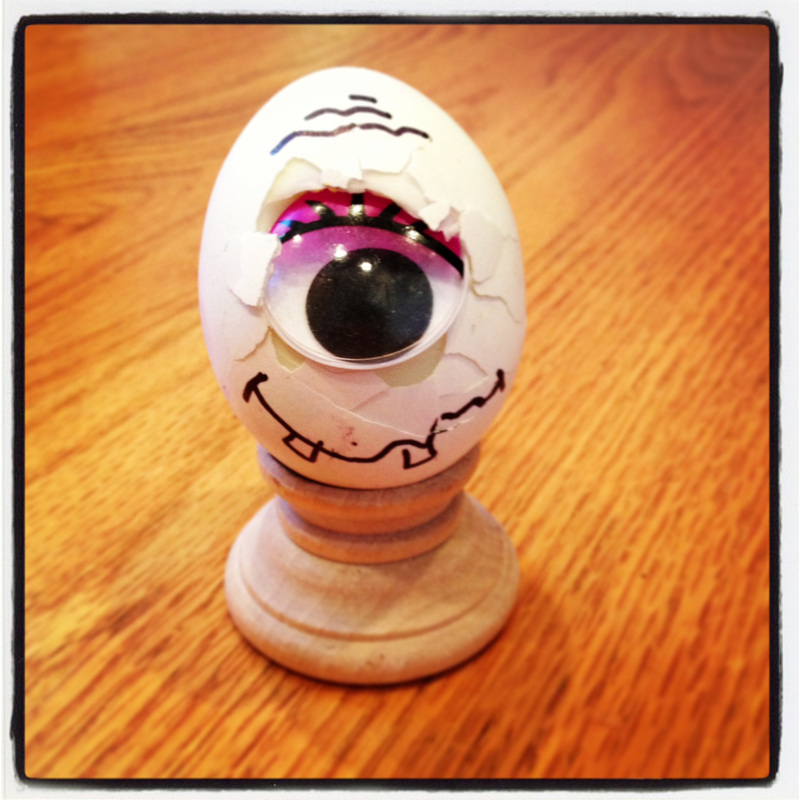 This entry was posted in Art Projects and tagged art, ArTree, easter, egg, kids, monster, project, snack. Bookmark the permalink.